We've arrived at the year's busiest holiday once again, and along with the rest of the world of retail, there's lots to share here at the Lowly Gentlemen. 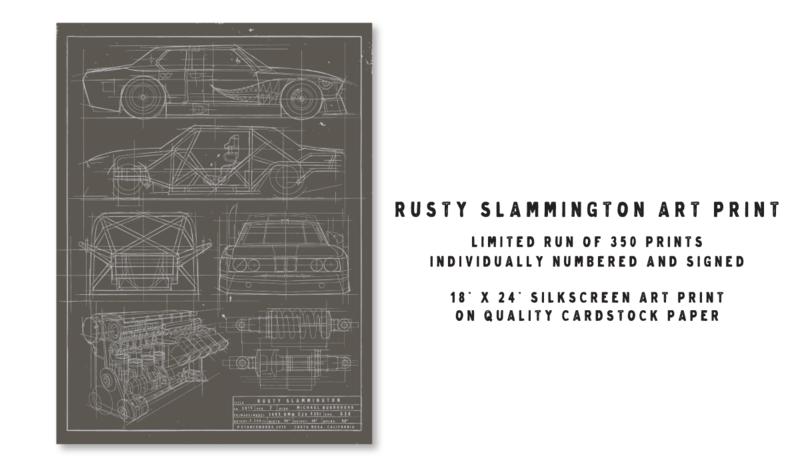 We've brought about store-wide discounts for everything in stock as we make way for the upcoming LG lineup; we've got all-new plate frames just in time for the holiday, and best of all, we're excited to announce Andrew's latest art print in celebration of Rusty Slammington's return. The revival of Rusty Slammington has consumed thousands of hours and countless nights, all in the name of building the greatest car we're capable of. There are few ways to show all that has gone into resurrecting the beast, but the latest art print does justice to its newfound nature. Printed on high quality charcoal cardstock paper, Andrew's authentic blueprint style encompasses everything that comprises Rusty Slammington, from the true-to-form diagrams of the custom tube chassis, to the cross section of the race-bred motor. Limited to just 350 signed and numbered copies, it's best to grab one before they're gone. 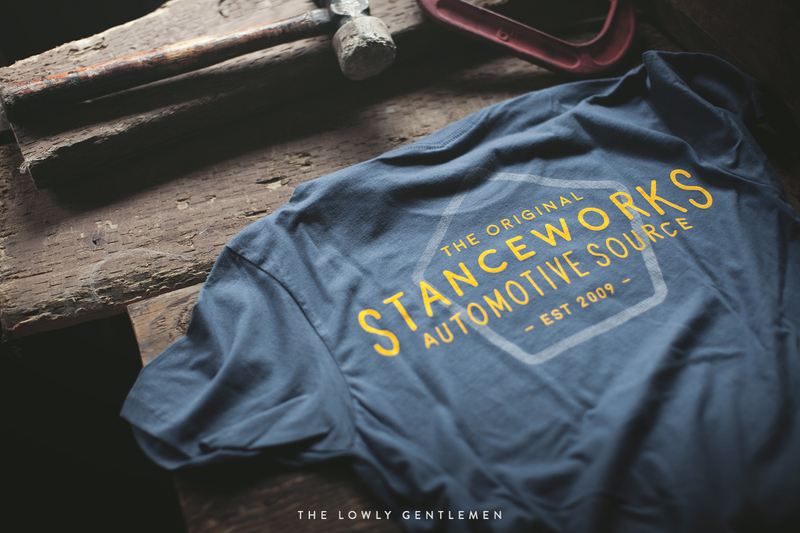 Also new to the store is our latest rendition of the StanceWorks license plate frame. 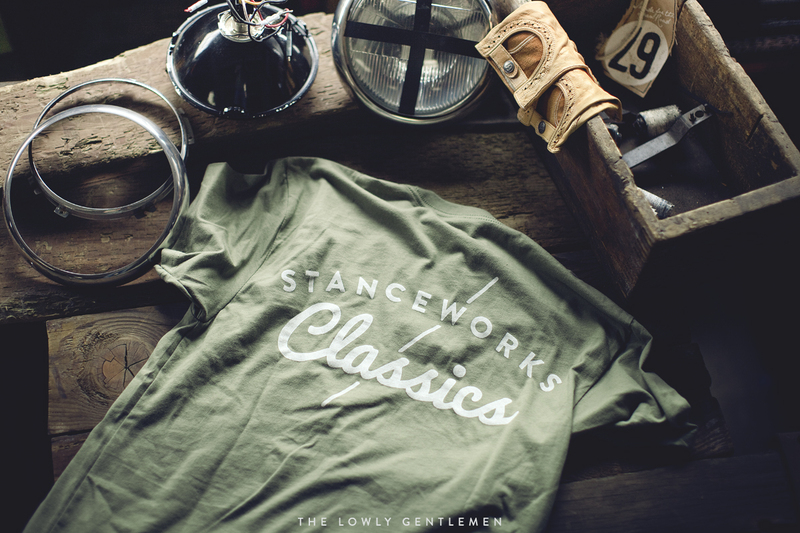 As a staple since the brand began, we've made few changes to the quintessential StanceWorks pieces. However, we've revised the plate frame once again, and this time, simpler is better. The all-new StanceWorks plate frames are in stock and on sale for Black Friday. Lastly, in the name of Thanksgiving, to show thanks for all those that support us and our brands, we've discounted everything in the store. The sale runs from today through Cyber Monday, while supplies last. Click here to shop the Black Friday discounts!